The long-awaited, redesigned Children’s Park is on course to becoming a reality. The 1.5-acre neighborhood park is located on Island Avenue and Front Street in the Marina District. The park was originally designed by world famous landscape architect Peter Walker and constructed in preparation for the 1996 Republican National Convention. Walker designed the park to provide the feel of a dense forest of pine trees surrounding grassy mounds and a 3-foot-deep tranquil pond where visitors and residents could enjoy a break from the urban setting. The forest park setting, unfortunately, resulted in the attraction of an unexpected group of individuals. The grassy knolls and dense trees provided the perfect backdrop for criminal activities to occur in the many dark, shadowy areas of the park. Petty theft, disturbances of the peace, assaults, arson, prostitution, vandalism and drug usage were common occurrences at Children’s Park. The anticipated users of the park soon became hesitant and fearful of visiting their own neighborhood park. In an effort to eliminate the criminal element from the park, in 2011 the City Council approved a redesign of the park to include more open landscaping, additional playground equipment and a restroom. The plan was never implemented because of funding issues and the crime rate continued. During the two-year period between 2014 and 2015, records from the San Diego Police Department reported that officers responded to more than 450 calls at Children’s Park. Today as you walk through Children’s Park, you will notice the landscape is sadly desolate. The grassy knolls have been removed leaving a barren ground of dirt surrounded by thinned pine trees. It was meant to improve the safety and visibility in the park but resulted in an unappealing, dissolute neighborhood park. This vision is about to change. In November 2016, renewed plans to redesign Children’s Park began with the first of many Civic San Diego community workshops. After a lengthy dialogue with the residents of the Marina District during the workshops, Civic San Diego developed the long-awaited final improvement plans for Children’s Park. 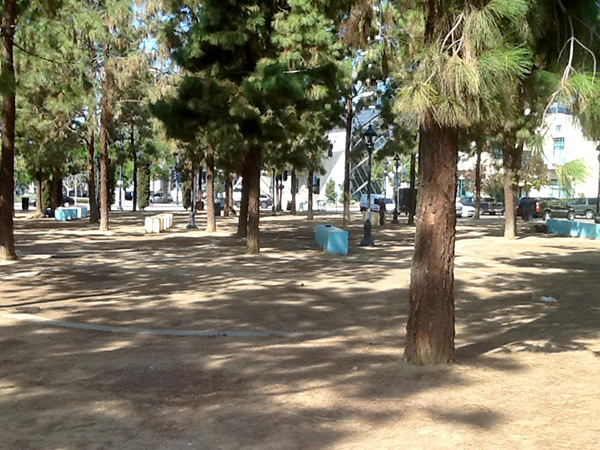 Civic San Diego’s newly designed park includes preserving the basic features of the park’s original design. The civic pond, stone benches, and thinned-out pine trees would stay but the new plan incorporates six specific areas, with each area interactively coordinated with the other five areas to maximize the activation of the entire park. The park’s new redesign adds improved lighting, features public art work, and fosters a feeling of openness, but the most exciting aspect of the Children’s Park redesign plans are the six well-defined park areas. A children’s play and picnic area, open space turf, elevated walkway, vendor and restroom building, off-leash dog park, and an adult fitness area form the six specific areas comprising the final redesign plans of Children’s Park. The children’s play and picnic areas will include playground equipment for children of all ages. To continue the forest theme of the park, the playground equipment will resemble a tree fort housed within the surrounding woods. A rail fence, with ingress and egress points of entrance, will provide safety for the children who will be enjoying the equipment. Abutting the children’s play area is the open space turf area, where parents can relax and watch their children play on the playground equipment. In addition, families can picnic, and children can play ball in an area of approximately 10,000 square feet. Next to the open space turf area is the iconic Civic Pond. The plans include installation of an open stainless-steel walkway extending across the pond in a modified V shape. Pedestrians will be provided a wonderful experience of walking over the pond as sprays arise from the fountain. Bordering the Civic Pond will be a vendor and restroom building. Continuing the forest theme, the building will have a rustic look and have covered seating. There will be two restrooms with an attendant on duty during the park hours to ensure security. 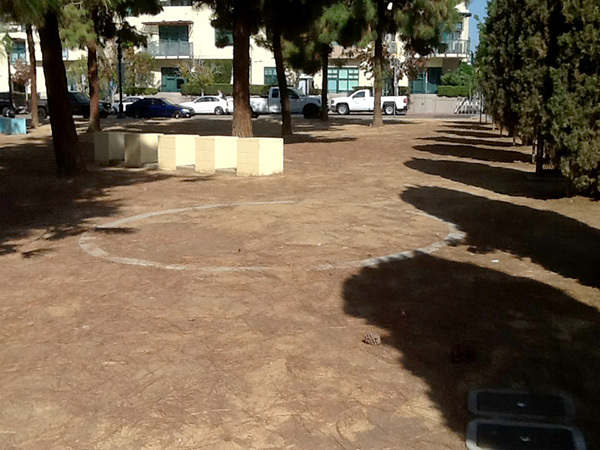 One of the most exciting additions for the many dog lovers in Marina District will be an off-leash dog park. The dog park will have a double gate entrance on Island Avenue, which will create a convenient sidewalk entrance. Also located along the Island Avenue side of the park will be an adult fitness area. In an area of approximately 1,400 square feet, adults will be able to utilize outdoor exercise equipment on a decomposed granite pad. The Final General Development Plans for the redesigned Children’s Park were approved in July 2017. Civic San Diego’s timeline for the completion of the Children’s Park improvements is as follows: Between June 2018 and March 2019, construction documents will be completed; between the preparation stage, March 2019 and August 2019, all permits will be obtained; and finally construction of Children’s Park will be completed by August 2020. In 2020, children, families, couples, individuals, visitors, and dogs of the Marina District will finally be able to enjoy a very welcoming, fun, relaxing, and safe experience at the newly redesigned Children’s Park. —Joan Wojcik is the president of the EastVillage Residents Group. Contact Joan at eastvillageresidentsgroup@yahoo.com or visit evrgsd.org.